5 1/2" x 4" B/W photograph of the Pumpkin Hollow School. Severely torn and taped. Handwritten on reverse: "Teacher M. Bement, Time 1896 or 97, Place Pumpkin Hollow." Handwritten list of student names included in accession folder. 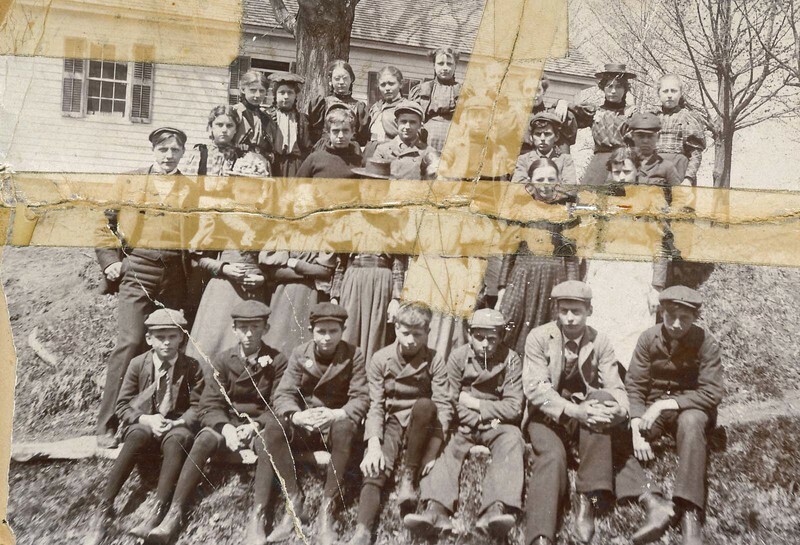 Empire View Company, Rondout, New York, “Pumpkin Hollow School,” Conway Historical Society, accessed April 21, 2019, http://conwaymasshistory.org/items/show/985.